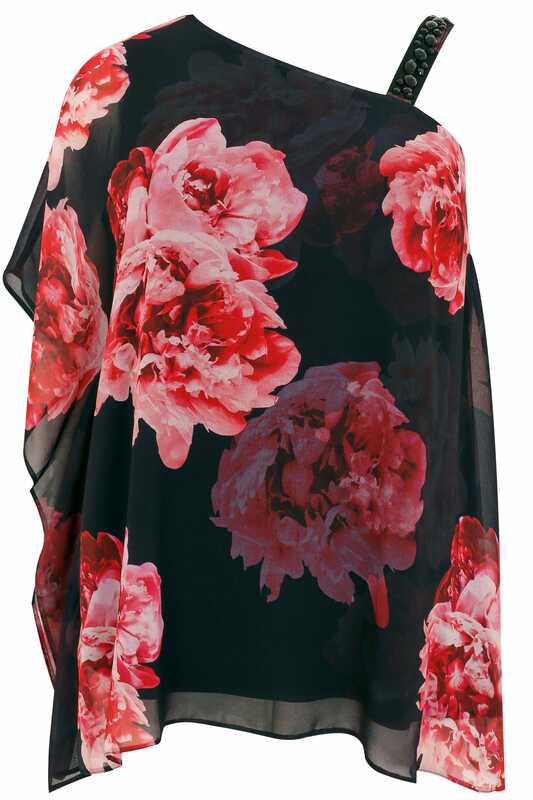 This relaxed top features a super-stretchy underlayer with a lightweight chiffon overlayer boasting a statement floral print and adorned with embellishments. Team with dark denim and courts for after-dark appeal. 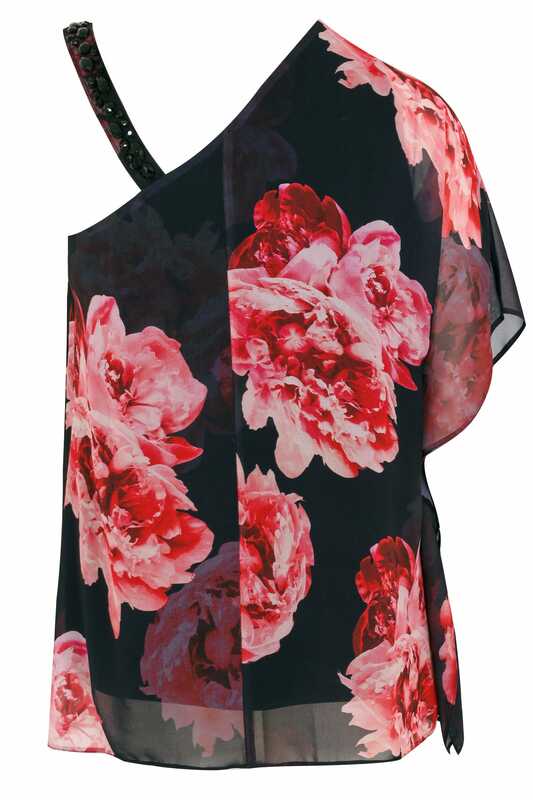 We love its stylish one shoulder style.